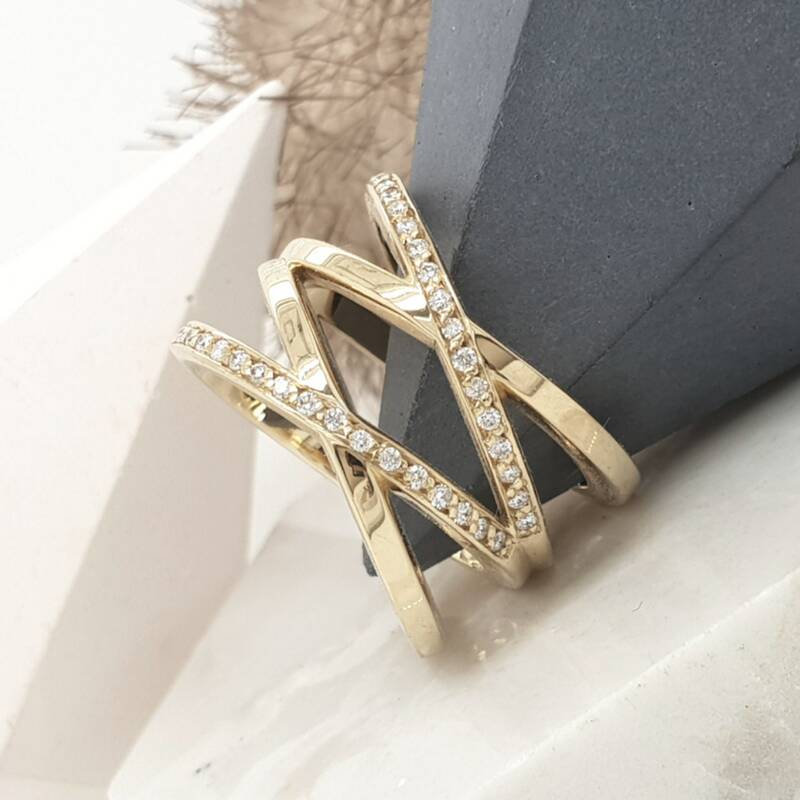 Rhiannon is a statement diamond dress ring. Perfect for a little bit of glam on a night out. Rhiannon is 14mm Wide at the widest point. 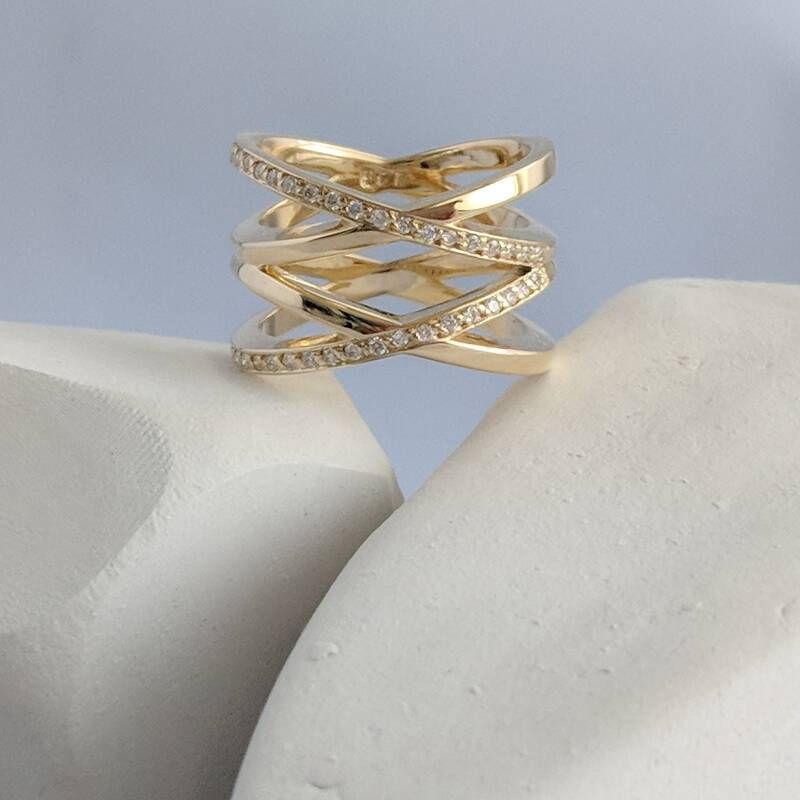 Made in 9ct Yellow gold and set with 40 x 1.1mm round diamonds in a bright F SI colour and clarity. 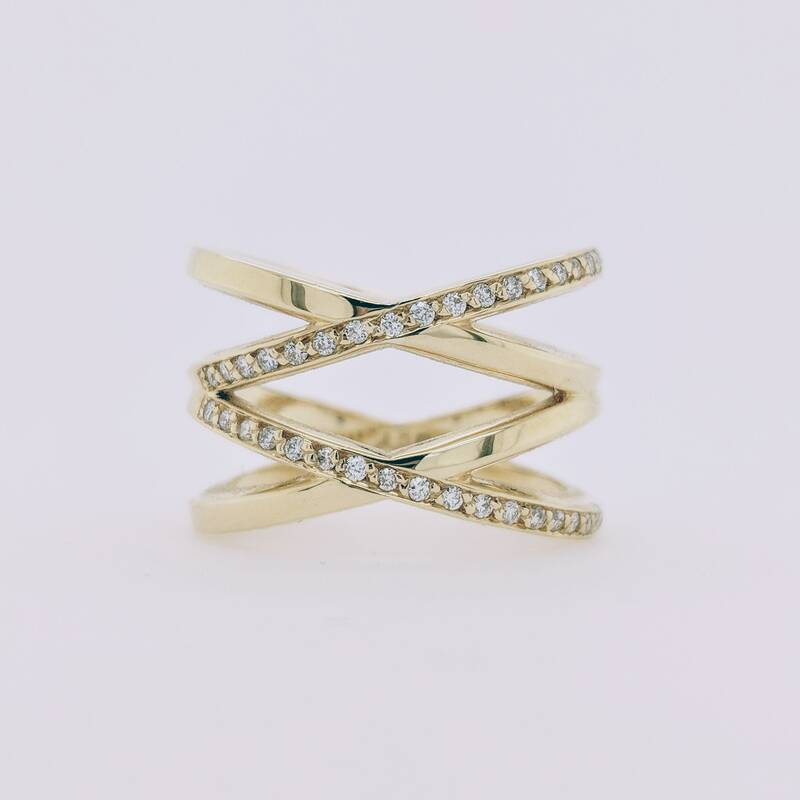 To find out more about diamond grading please visit the blog four C's. Please select you size from the drop down menu, if you don't see your size please contact us via the contact page. Rhiannon will come presented in a beautiful timber box.